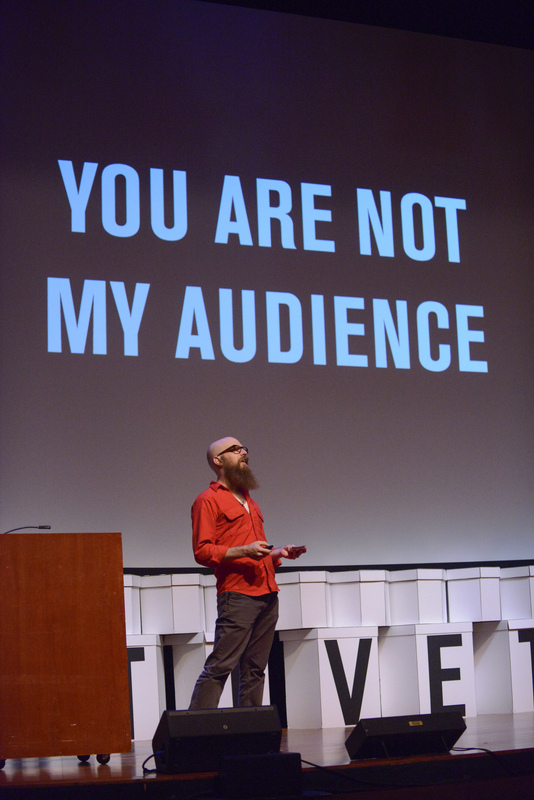 This summer I gave the closing talk at the 2017 Eyeo Festival in Minneapolis. I used the opportunity to ask the attendees — artists, engineers from tech companies, marketers — to volunteer their skills working with social movements. And I included some stories I’d been eager to tell about the 2016 AIDS Conference! I didn’t realize how imposing my stage presence appeared until someone sent me this photo after the fact. Whoops!